Certifications: PSIA-Alpine Examiner (Retired) Level III Alpine-N.Z. Describe your first ski or snowboard setup: Wood skis, spring loaded, front push cable, toe-side plates. What equipment are your skiing/riding on now? Kastle, Lange. What’s the one ski or snowboard accessory you can’t live without? My neck gator. What is your best skiing/snowboarding memory / Experience of a Lifetime? Judging 1999 and 2000 Powder 8 World Championships at Weigle’s. What do you do in the off-season? Stone Mason, ride my horses. What would you say to someone to encourage them to try skiing or snowboarding? You will never have such a free feeling anywhere else in your life. Why do you love working at Vail? Great mountain, great constituents, great clients, casual and respectful management team. What inspired you to become an instructor? Watching the European instructors at Whiteface when I was growing up. What is your best advice to someone just starting their career as an instructor? It is a long and wonderful learning experience. Take your time, stay humble, and share your love for the sport, your passion for learning, and your caring for people burning in your heart! Describe a scenario where you had to teach a difficult lesson and how you accomplished it. I had a family who had lost their husband and father the previous Easter. 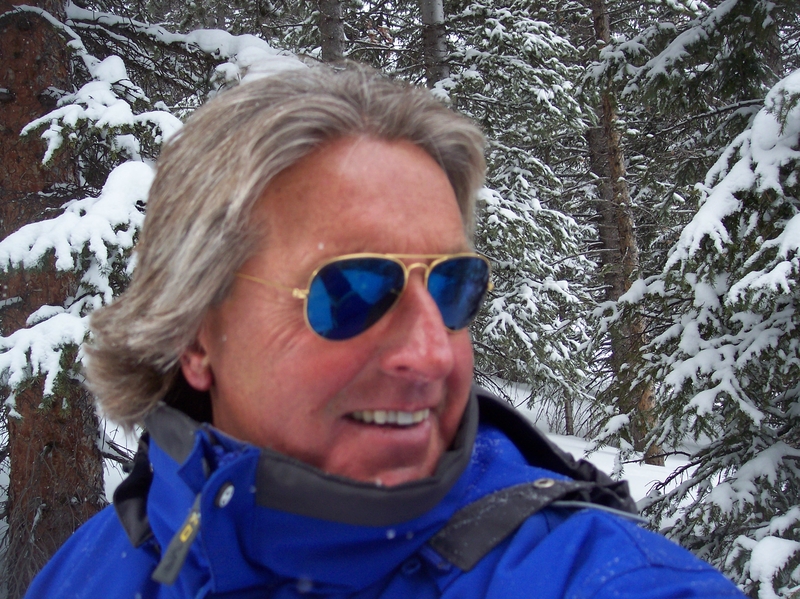 The were visiting Vail to relive his memory and his love of skiing. They were suffering deeply…patience, understanding, careful timing, and an open caring heart! What advice do you have for someone going for a new certification? Teach as much as you can and learn while you teach…clinic, but clinic with a few clinicians you trust and you know care, and realize it is about TEACHING SKIING, helping people find success in whatever they think success is, and take your time. Describe a favorite learning moment: Mike Porter told me in 1989 that I “worked too much in a vertical plane’…It took me a long time to understand what he was saying, correct it as best possible, and I must say, it is still one of my major faults…it’s a LIFETIME process for sure. What is it about your teaching style that stands out? An attitude of having a positive effect on everyone I contact…and hopefully having everyone feel better about themselves after their time with me….and PASSION and CARING. What tricks do you use for teaching beginners that you wished other instructors knew and used? Steering angle is way more important than edge angle and skidding is the best and most energy efficient way to slow down. What are your skiing/riding, teaching, or training goals for the season? Stay smooth and efficient in the bumps, broaden my approach to long time clients, and get with whoever wants help every morning at 8:00 A. M.
If you could leave behind a legacy in the snowsports industry, what would it be? That I helped thousands of people, and helped move ski instruction to a more respected profession within the industry and the skiing public. Sound off… Anything else you want to share with your peers? It’s not about you…it’s about the people you are with. Want to see yourself in our next “Pro File?” Fill out this form to share YOUR story in a future Pro File. We make minor edits for brevity and spelling, but Pro File is your words straight to your peers!